The achievements of staff at BBC Research & Development are of the highest order in the world of broadcasting and for many years "Research Department" was a major part of BBC Engineering Division. 1950: Newsreel: Improving the View at Kingswood Warren. A film that is now on the BBC Archive Facebook site. In 1993 Design Group (formerly Designs Department) merged with Research Department, forming BBC Research & Development. 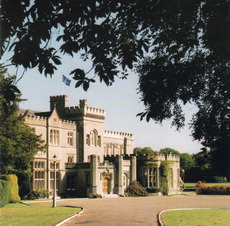 RD/R&D was located at Kingswood Warren in Surrey from 1948 to 2010, then split and relocated to Salford and Centre House (near Television Centre - which was subsequently sold). The main web site (linked above) contains a great deal of information, including details of past achievements, so BBCeng only contains a small amount of information on BBC Research. Some examples of the achievements are summarised in this 2006 article from a free magazine called Connections, which was delivered to each household in the Kingswood and Tadworth area. Link to BBC Research publication archive including "BBC Engineering" and "BBC Monographs"
Article in Prospero - the newspaper for retired BBC staff. An amusing and pleasing story about a tape recorder that used to belong to Research Department. A brief article about life in this BBC wartime outpost. This article follows on from Part 1 (see No. 11 here) and covers the rest of Richard's BBC career. It is listed on a Designs Department page in order to keep the two parts together but, as Richard explains, both he and the Department moved on as a result of organisational changes. Initially he moved to D&ED and then to Research and Development. Richard's achievements were spectacular and represent BBC engineering at its best. 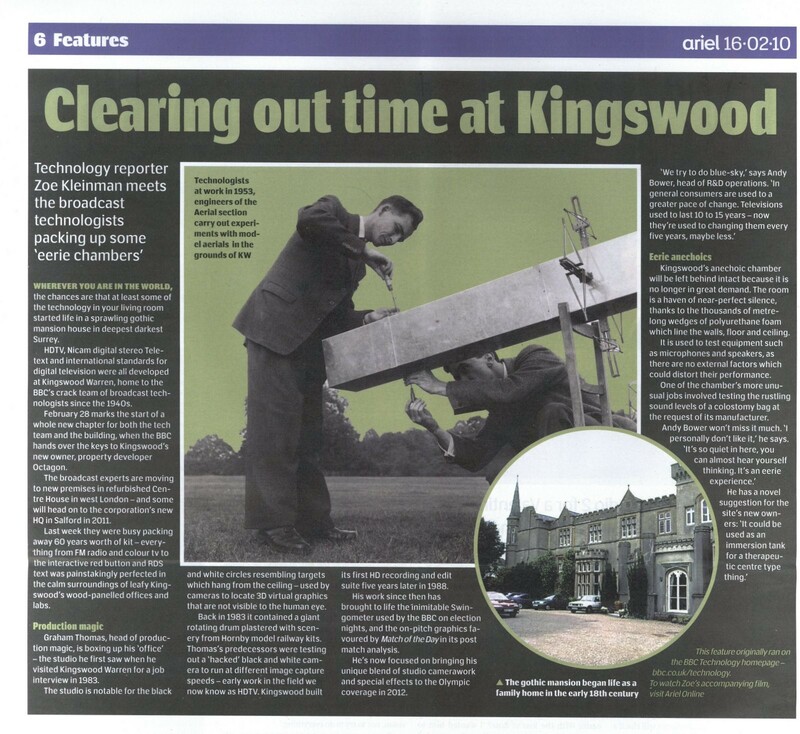 Article about clearing out time at Kingswood.